Whenever I hold a workshop, one of the points I often make is that stewardship is not fundraising. Fundraising is asking for a donation, a secular approach, whereas stewardship is the spiritual way. In stewardship, we facilitate the discovery of God’s blessings and the prayerful development of how to share those blessings. Stewardship is the intersection of prayer and action. 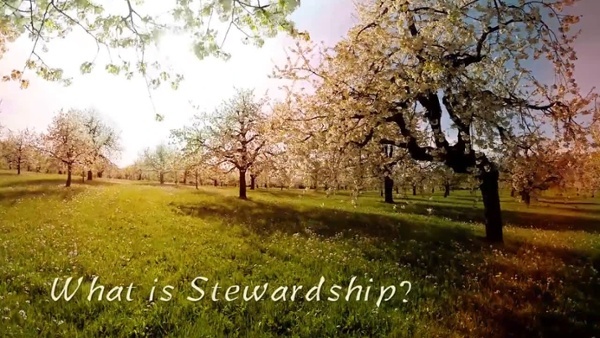 We hear the term thrown around often, but what does stewardship mean? In mathematics, we often use subsets to describe properties that are contained within another. However, subsets occur in day-to-day life, too, and stewardship is no different. Fundraising is an exchange—trading one thing for another—making it a subset (or an inner part) of marketing. Stewardship is an intersection between prayer and action: another area of discerning God’s will in your life. This doesn’t mean that we never use the term ‘fundraising’—especially since it’s an understood term—but I still think it’s important to have a reminder of the spiritual heart we’re both working with and towards. When your stewardship committee gathers, this meaning should inform all conversations on how to move forward. As stewards of God’s gifts, we are not passive beneficiaries. We cooperate with God in the changes He’s bringing about in both our lives and the lives of others. We are also obliged to be stewards of the Church—collaborators and cooperators in pursuing the redemptive work of Christ in both the saved and the unsaved, which it is the Church’s essential mission. This mission—proclaiming and teaching, serving and sanctifying—is our task. For our families: The two greatest commandments are to love God with everything we've got and then to love our neighbors as ourselves. When it comes to loving our neighbors, our families should be first, as often times, they provide the most for us, yet we don't give them the grace we give others. 1 Timothy 5:3-8 talks of caring for the widows in our family (and that if we don't, we've "denied the faith worse than an unbeliever"); Ephesians 5:21-33 talks of how spouses should treat one another; and Proverbs 31:10-31 and Ephesians 6:4 talk of how we should parent, nurturing our children in the light of faith. God must come before our family, but our family must come before our ministry. We pastor them first. For our churches: We work in both the practical and spiritual to help make our churches true communities of faith and vibrant sources of service to the larger community. We reach up to God, in to our local church, then out to the community around us. We aim to joyfully give generous support -- with our time, money, prayers and personal service -- to honor the LORD and bless others. The church is Jesus' bride and God has no plan B for the ways in which He primarily reaches the world. We need to make sure we're nourishing what and where God is growing life. The key part of any church capital campaign or annual stewardship strategic plan is prayer & discernment: To make the love of God the end of all our actions. Church Development’s prayer-based capital campaigns raise almost 80% more than secular (ask-based) capital campaigns (with a 15% higher pledge collection rate). It's clear that the decision to give should be based on prayer, not pressure. For many Christians, prayer falls mainly into the categories of praise and worship or need and supplication. Prayer to seek God’s will in decision making is complex and rare. However, if an individual learns to discern as part of their decision-making process, his or her life will be transformed. No longer are decisions based on short-term self-interest, but they become more altruistic. When it comes to capital campaigns, rather than having a decision to give set in the context of responding to a request, if the decision is made between the individual and God, this decision—like any other decision we make at the throne of grace—will be a better one. Furthermore, the individual will have the opportunity to put his or her faith into practice. Like Brother Lawrence hints at in The Practice of the Presence of God, we don’t get to decide what’s spiritual and what isn’t, thus everything—from washing the dishes, to feeding and clothing the homeless, to deciding what to pledge—is spiritual when it involves God, and that’s the goal: To make the love of God the end of all our actions. Learn about how our prayer-based capital campaigns are different in our free ebook.